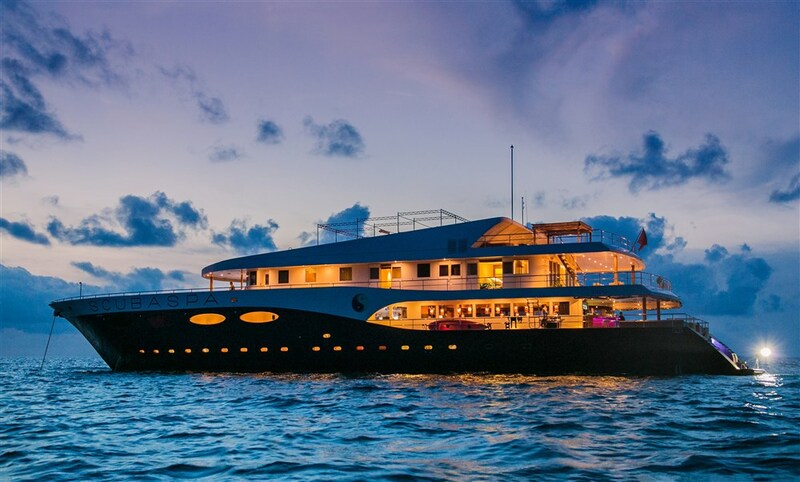 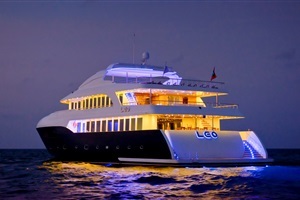 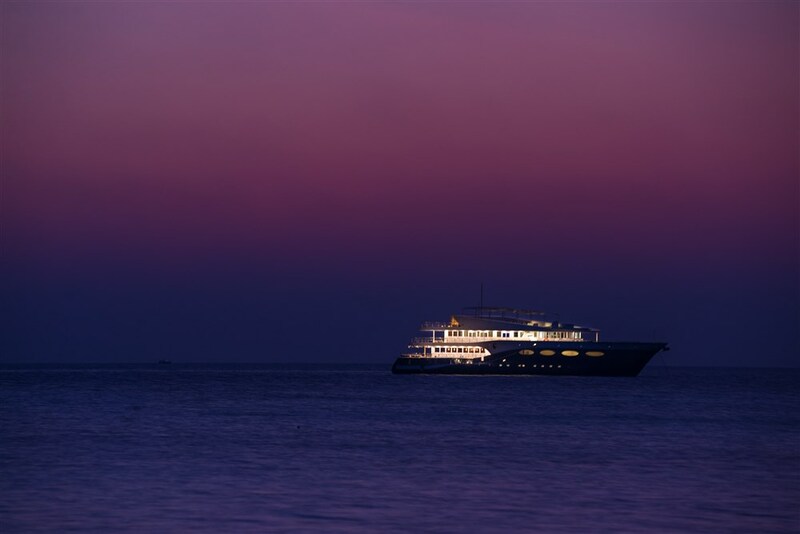 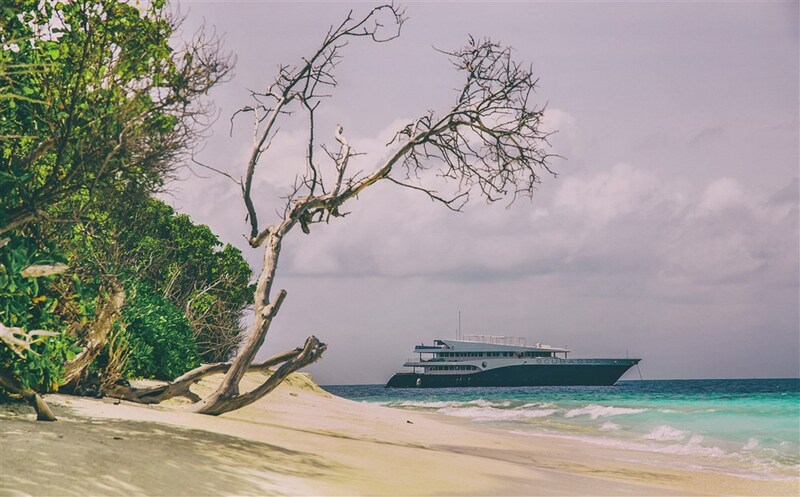 Apart from sister vessel Ying, very few boats in the Maldives combine so perfectly luxury, adventure and relaxation as the Scubaspa Yang does. 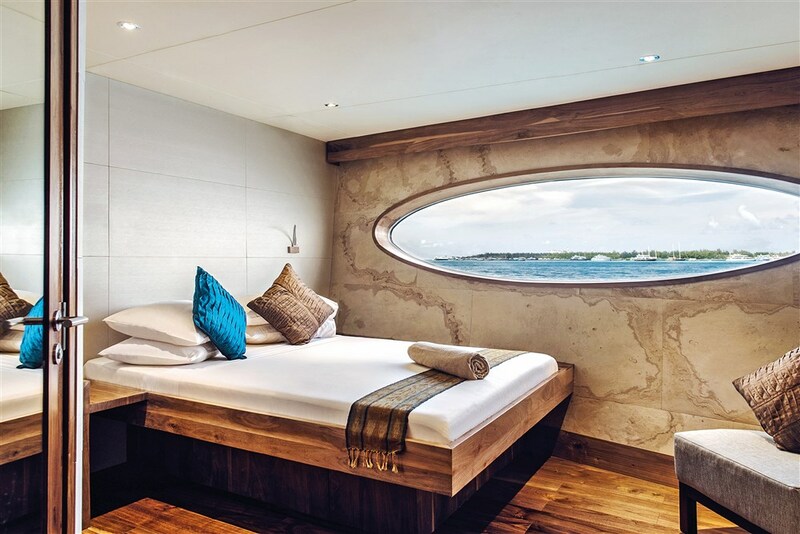 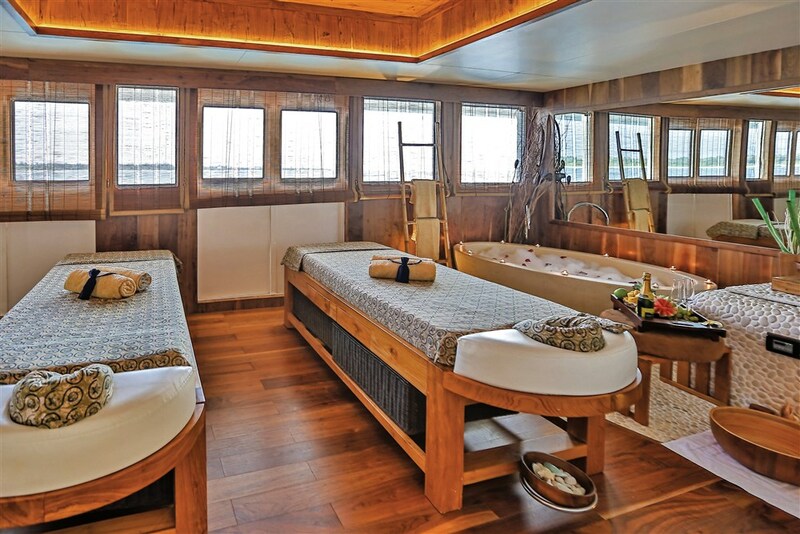 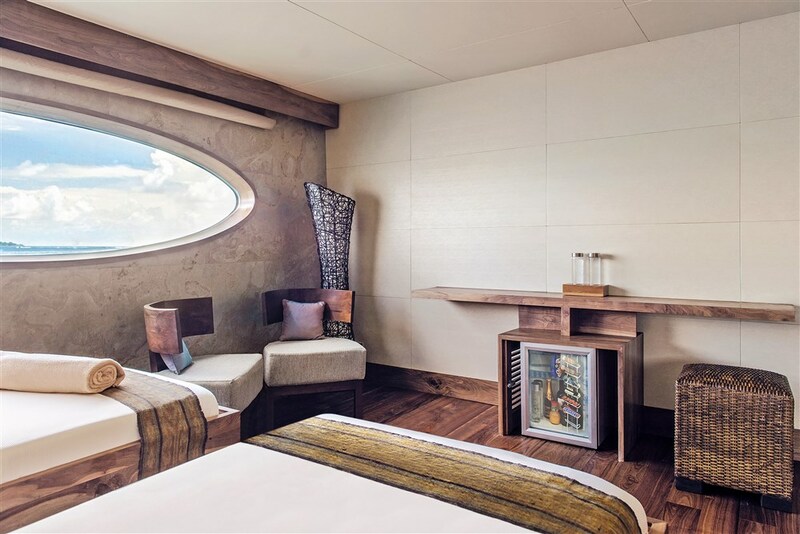 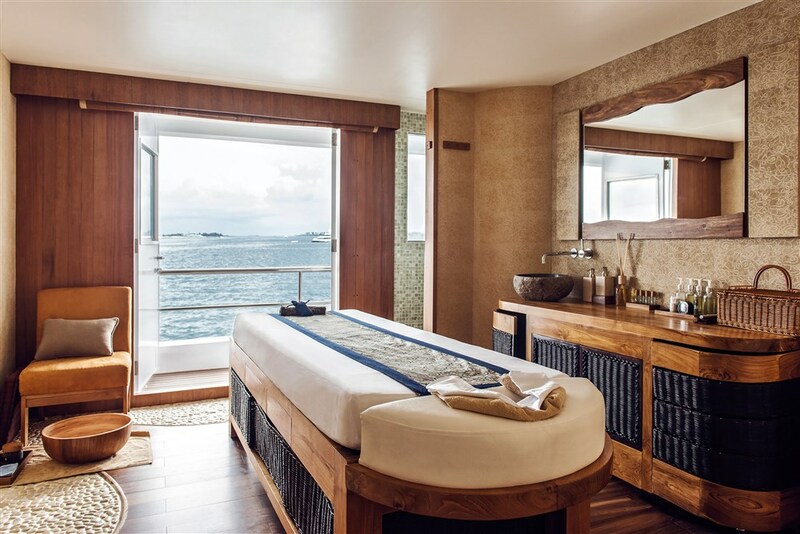 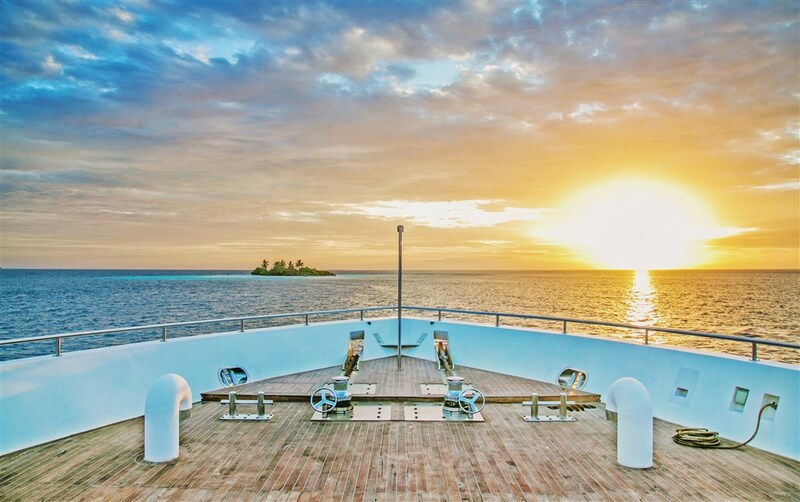 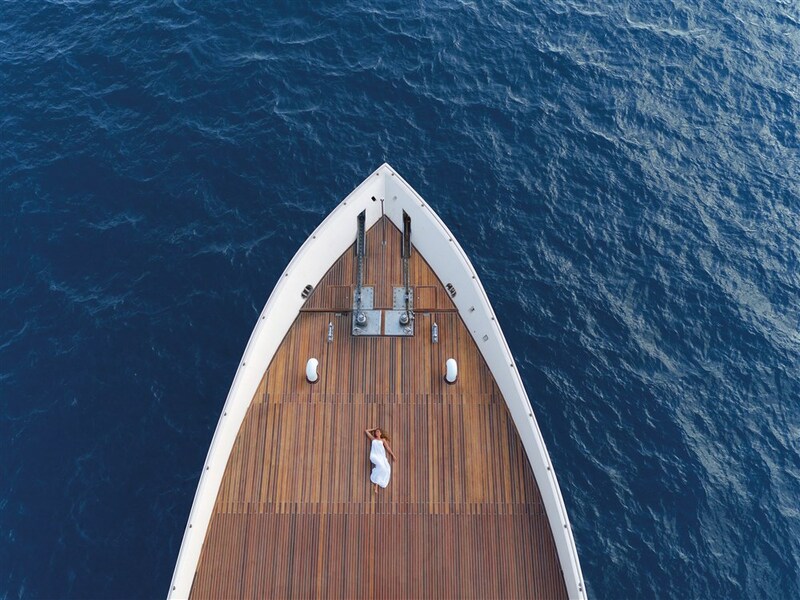 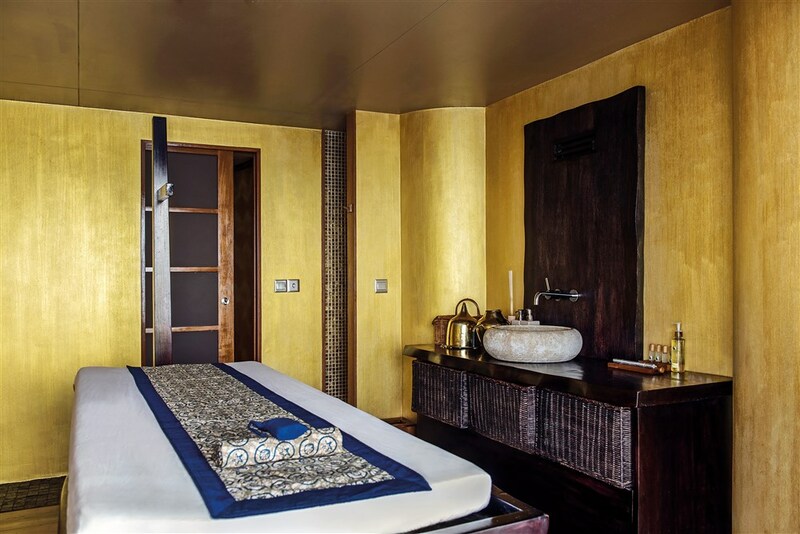 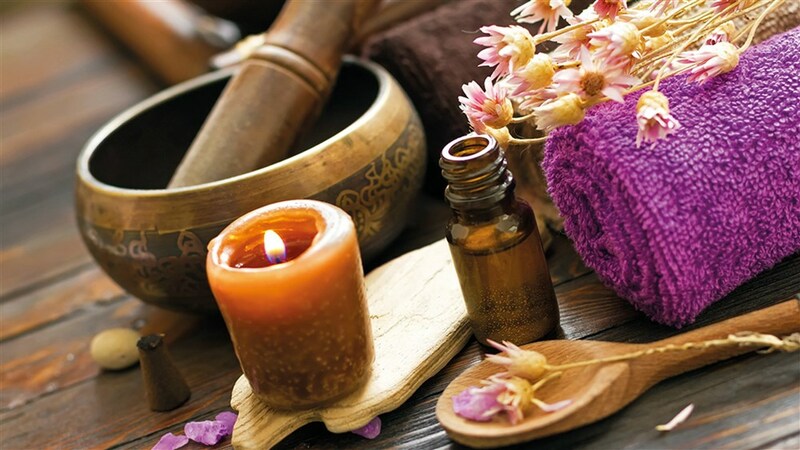 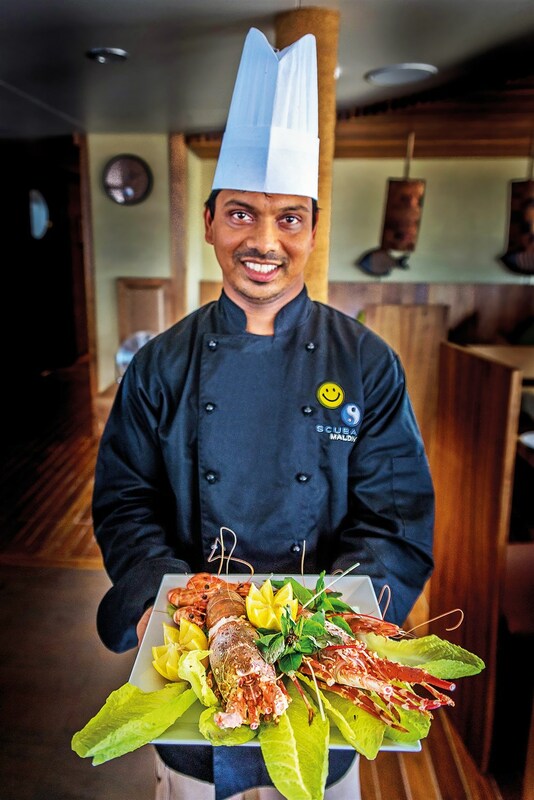 This pampering liveaboard is the perfect holiday option for both divers and non-divers, as it offers not only scuba diving, but also yoga classes and a huge selection of indulging spa treatments from the sumptuous onboard spa. 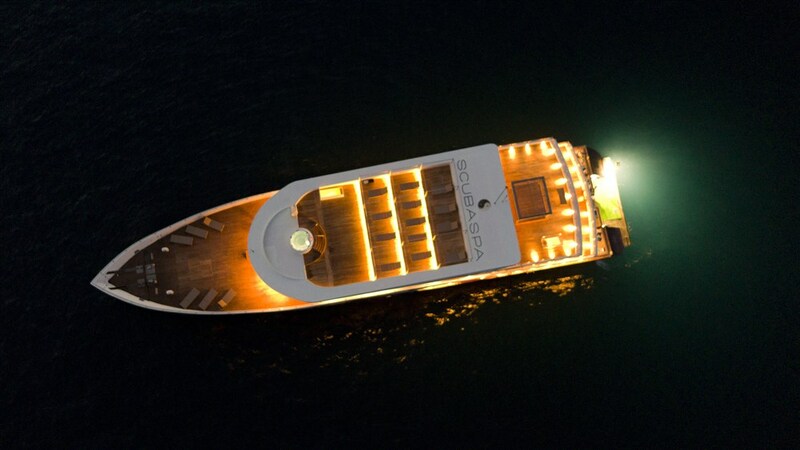 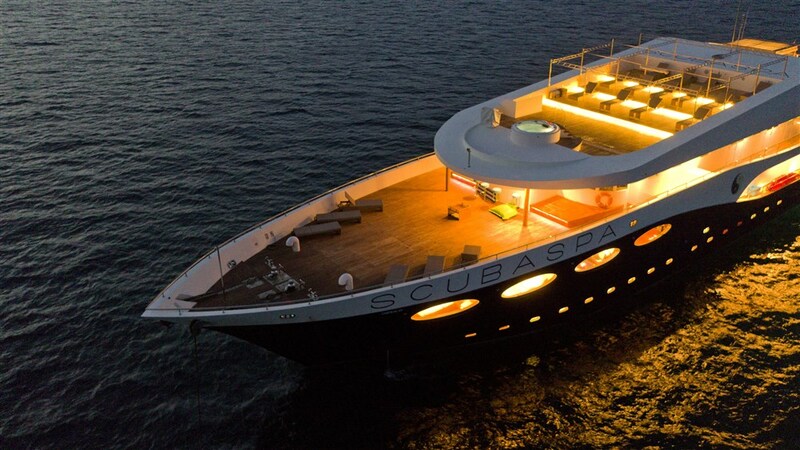 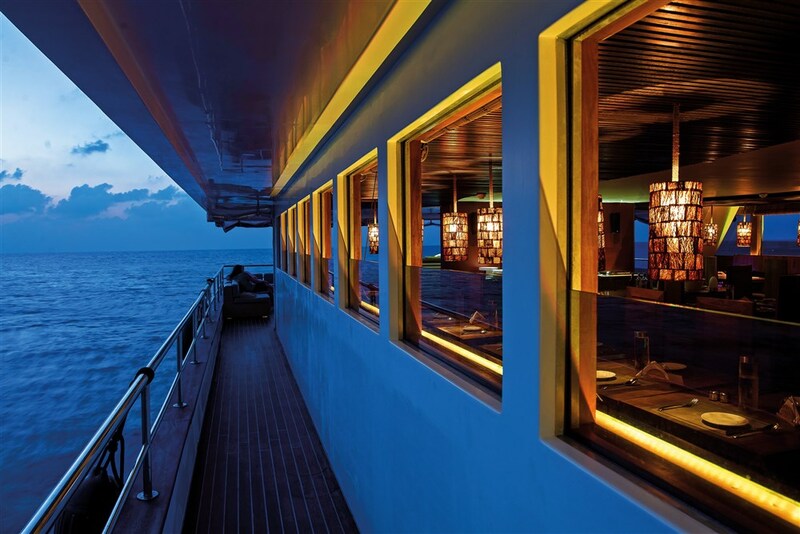 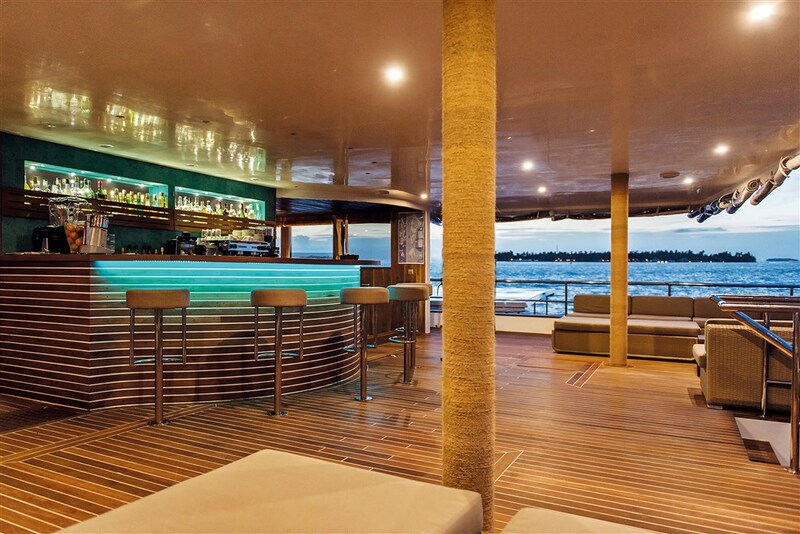 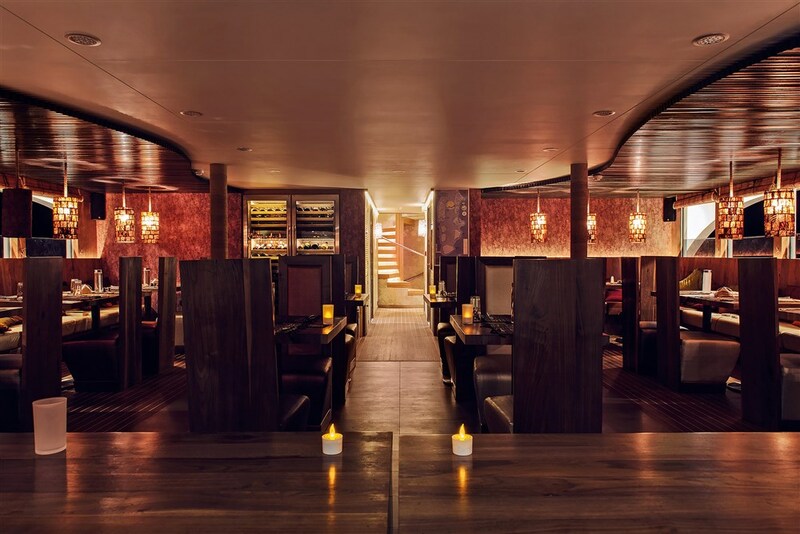 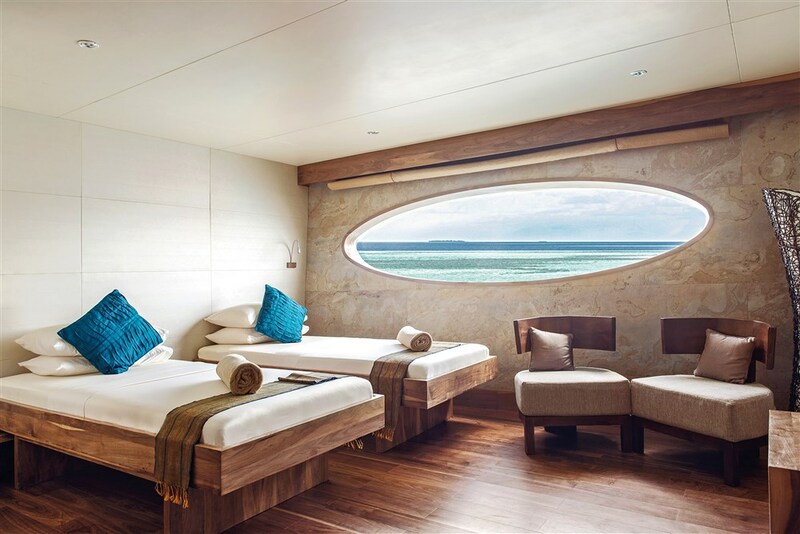 The gorgeous Scubaspa Yang is 50 meters long and accommodates up to 40 guests in 19 luxurious cabins and suites. 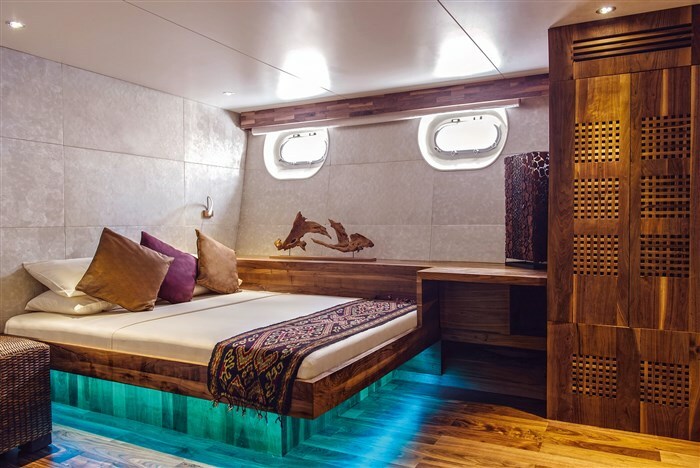 They all offer a classy decoration very rarely found on other boats, as well as double beds, their own bathroom, mini-safe and AC. 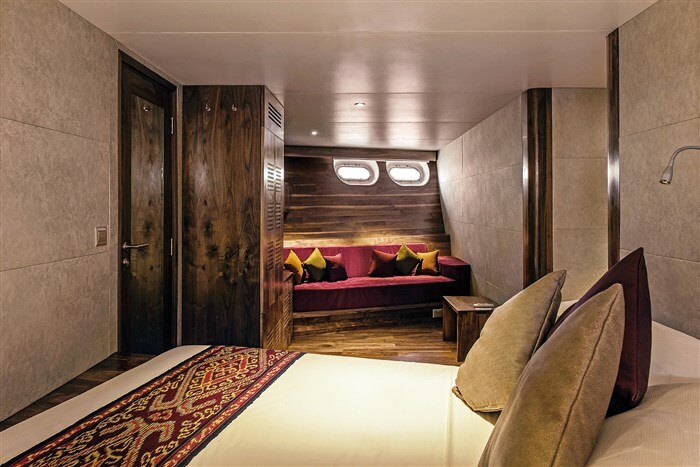 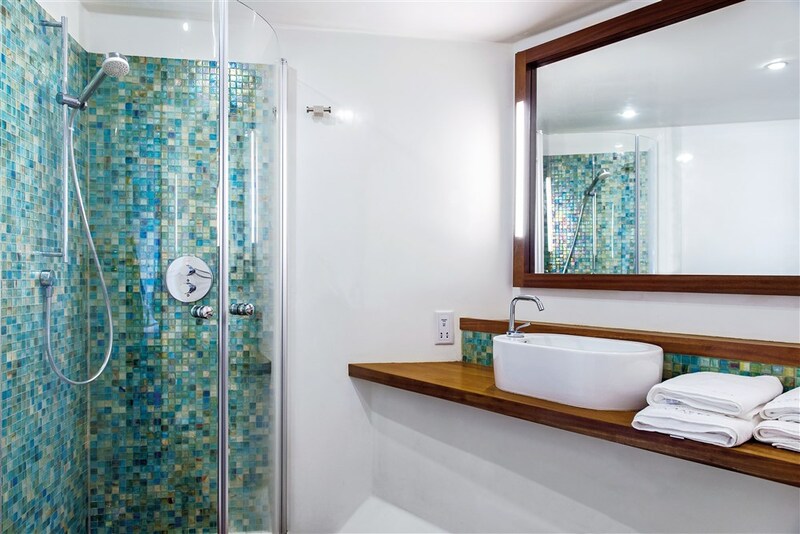 Some of the cabins offer twin share possibility and on others a third bed is available. 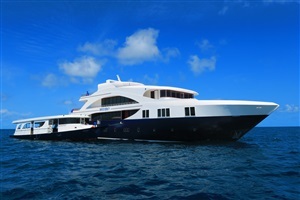 The Scubaspa Yang was custom built having in mind every holidayers’ needs, as it offers way more than only diving. 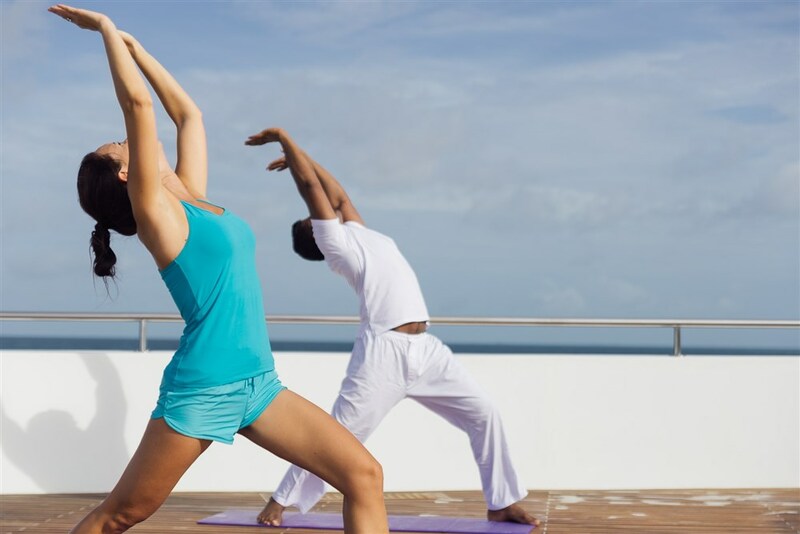 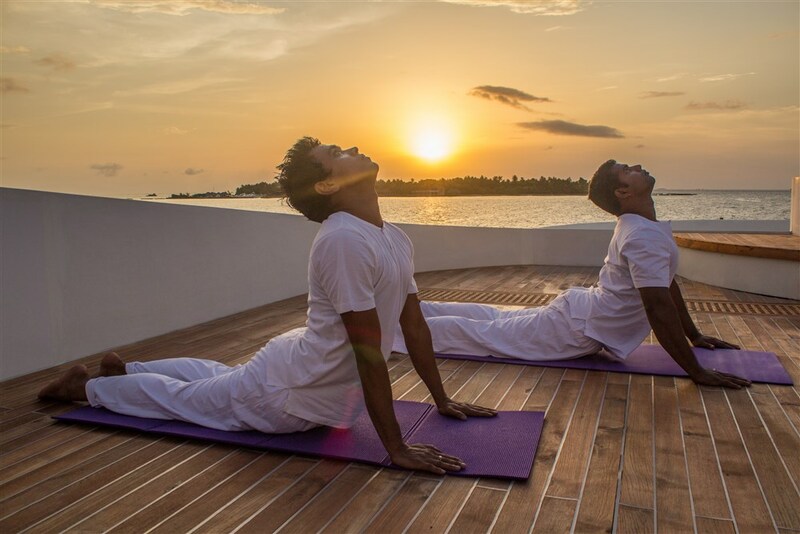 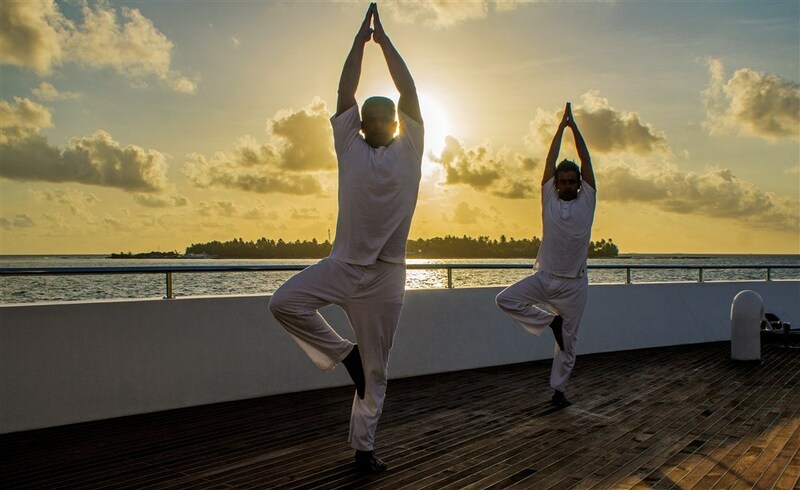 Apart from all the spa treatments available, guests can also attend the daily yoga classes to liberate the potential of their body, mind and soul. 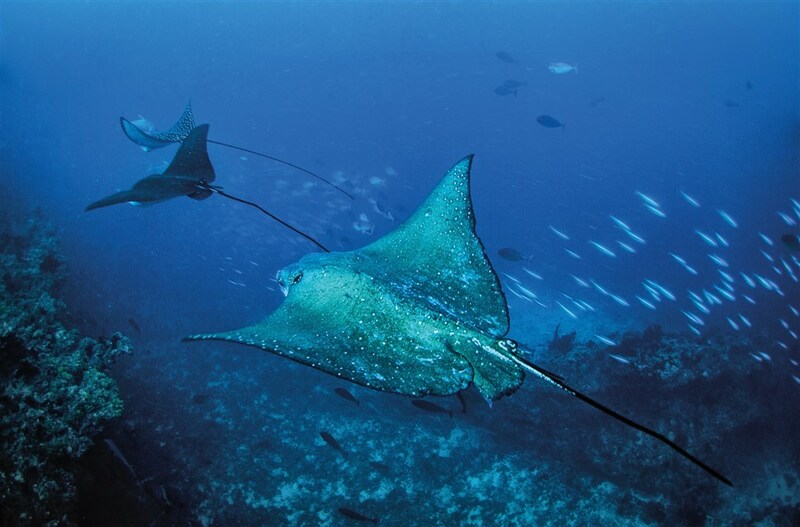 Complementary fishing rods are also at guests’ disposal, as well as paddle boards and kayaks. 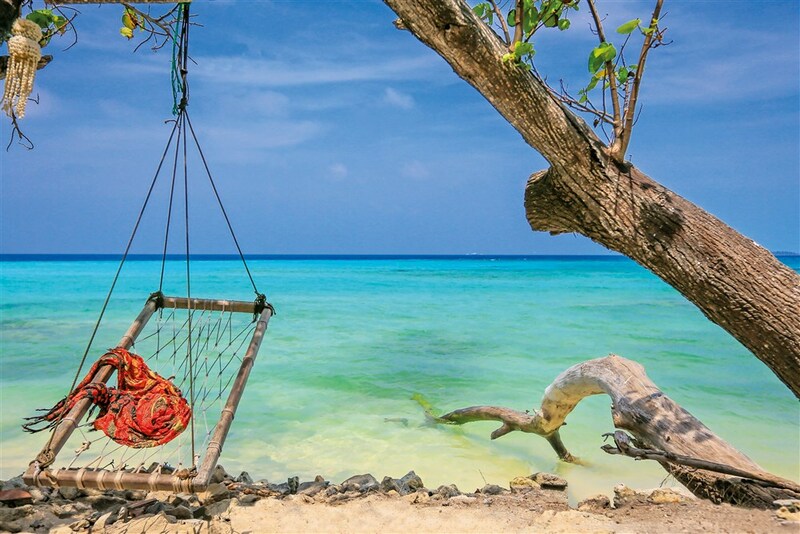 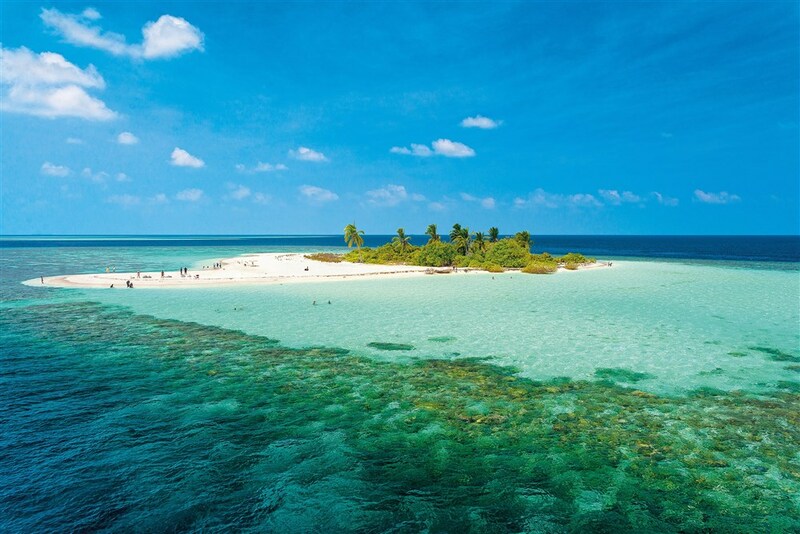 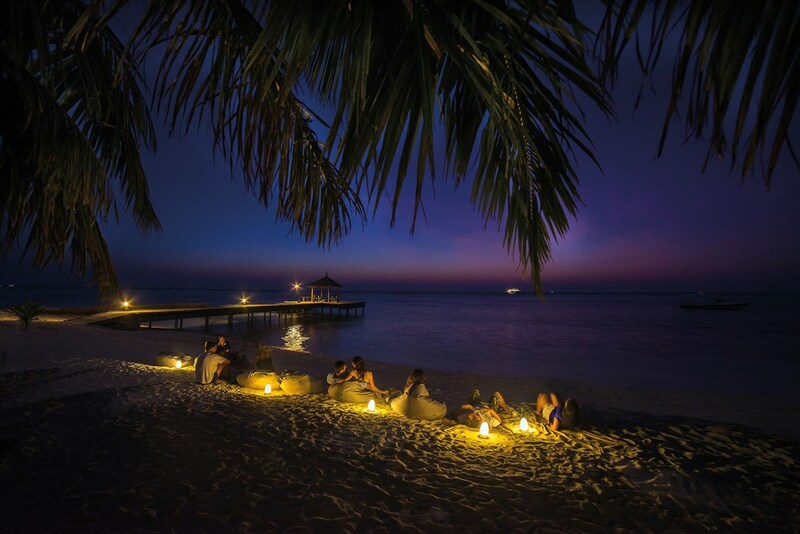 Furthermore, an outdoor HD cinema screen shows movies regularly that everybody can enjoy and picnics on deserted islands are also on the schedule. 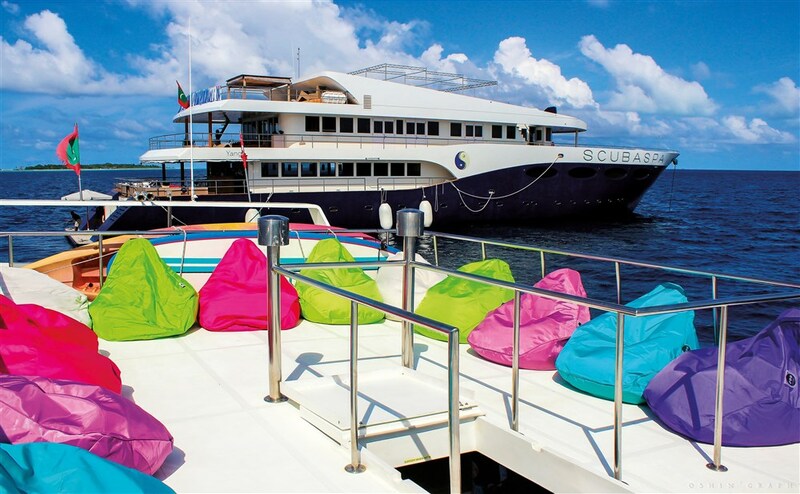 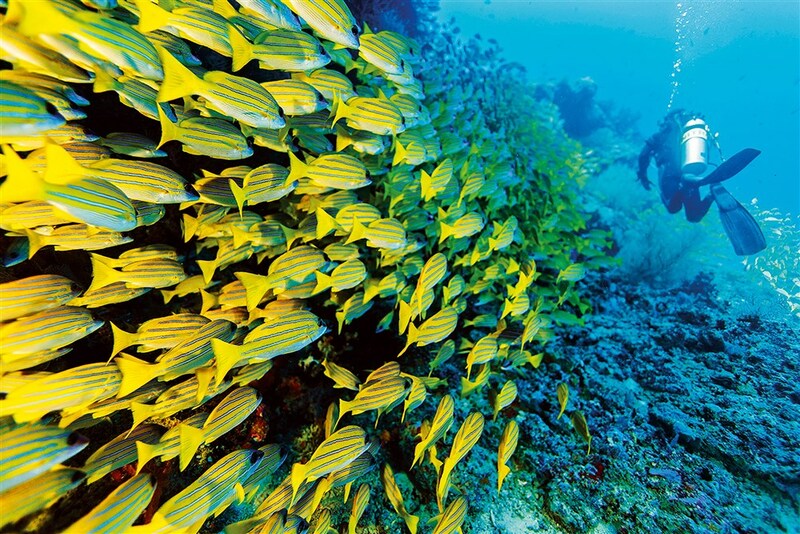 The Scubaspa Yang offers three kinds of packages: Scuba, Spa and Scuba & Spa. 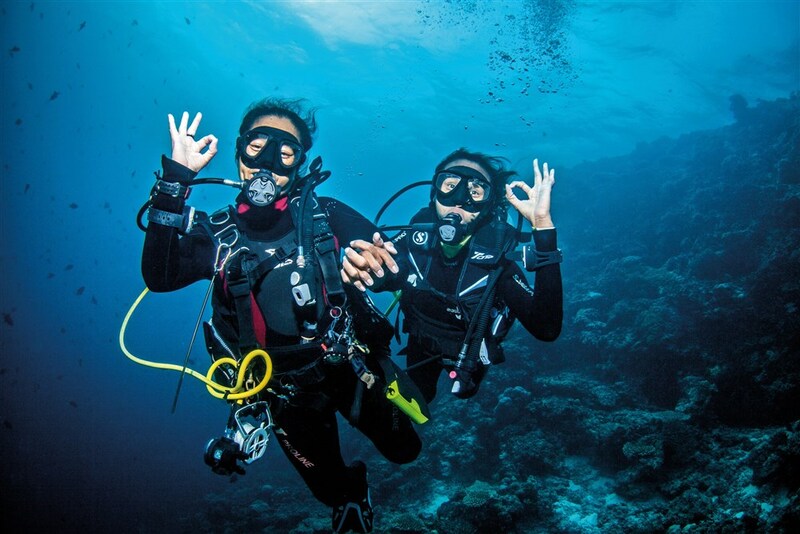 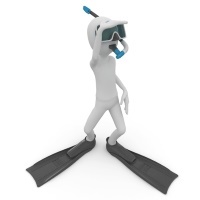 The Scuba option is open to certified divers only. 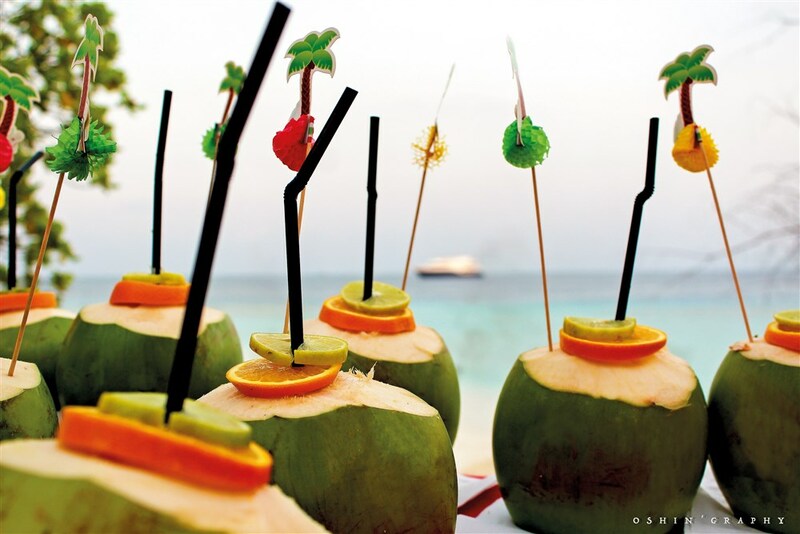 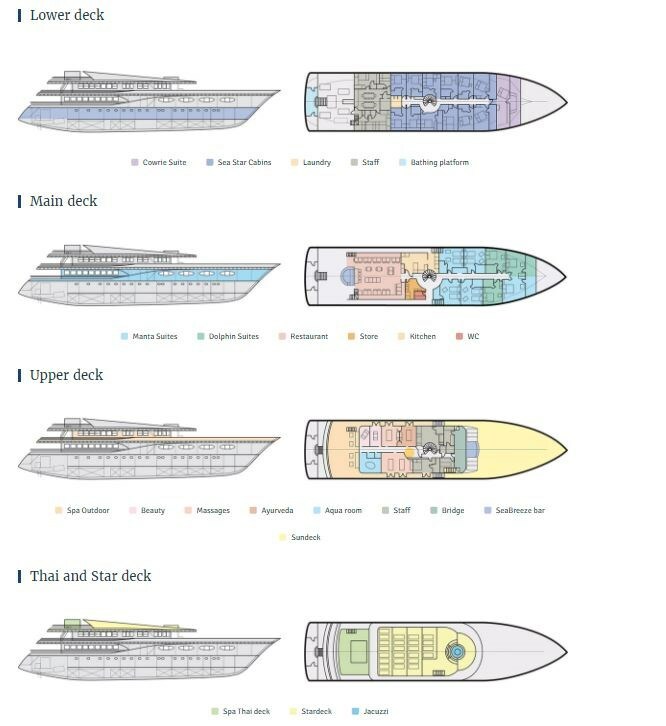 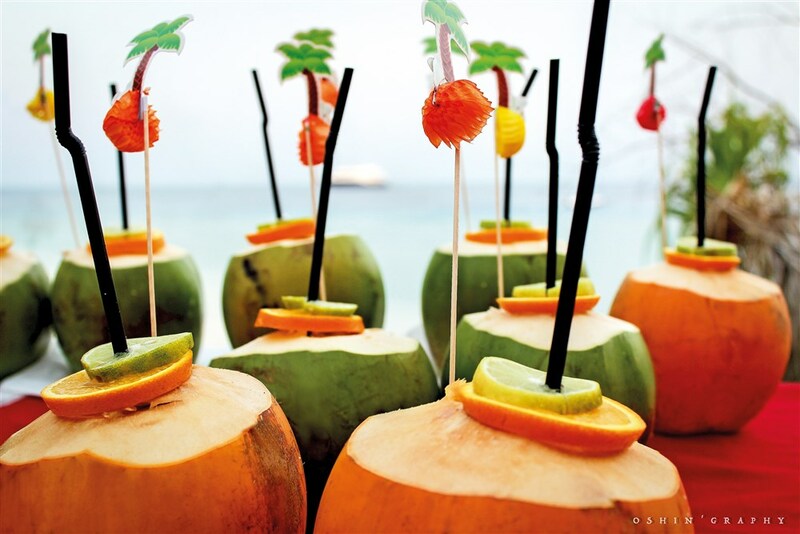 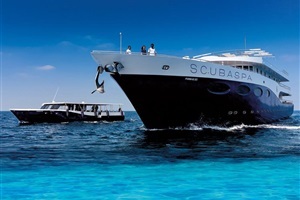 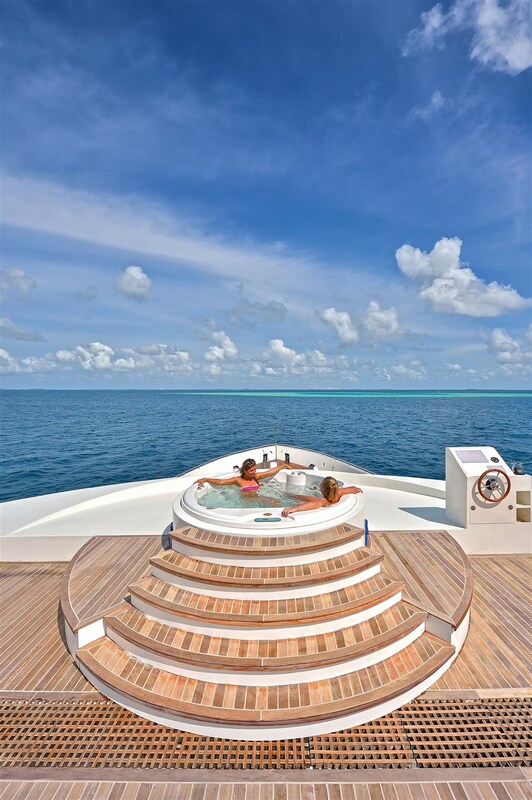 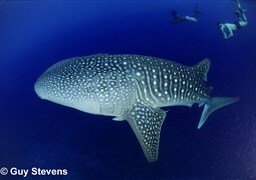 Once onboard, those who have booked the Spa option can request a Discover Scuba Diving or an Open Water course. 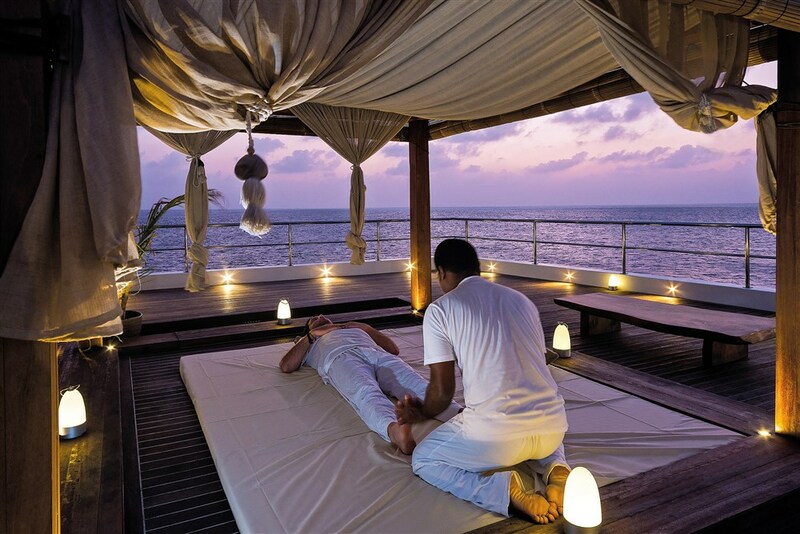 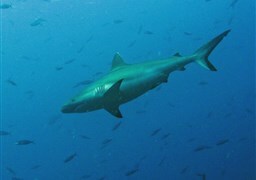 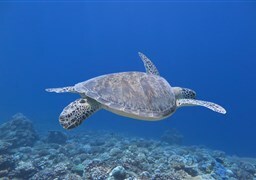 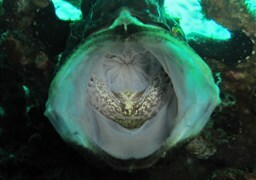 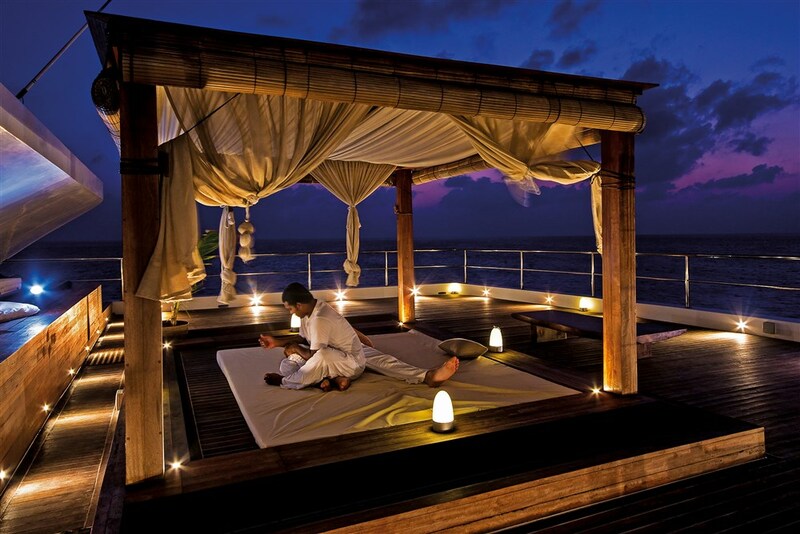 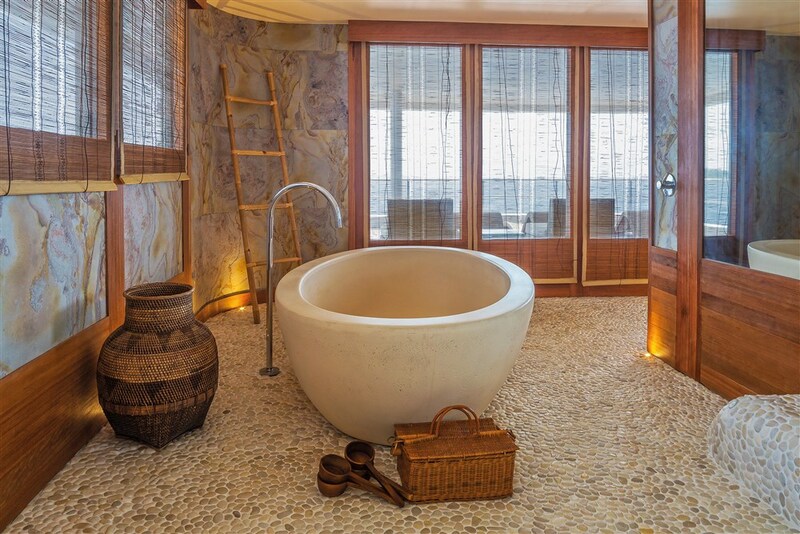 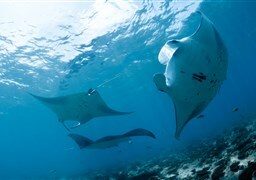 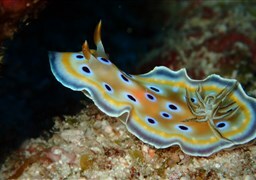 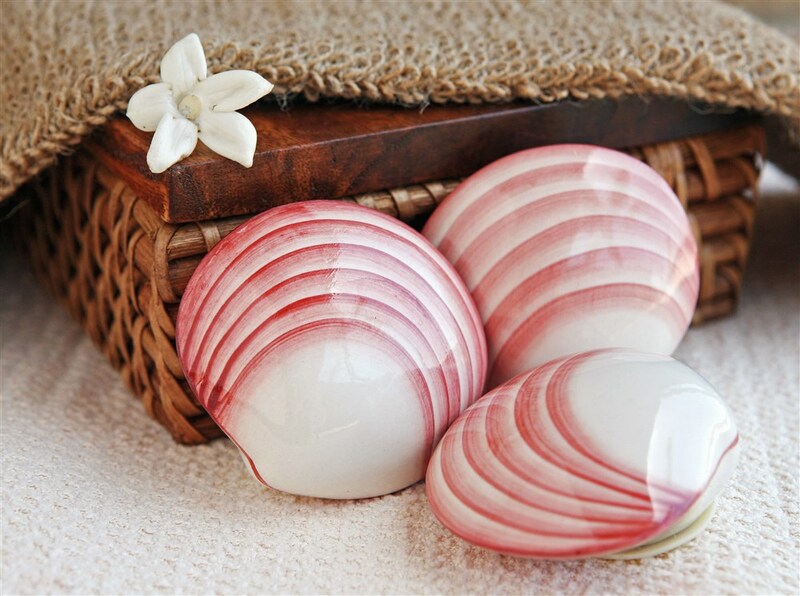 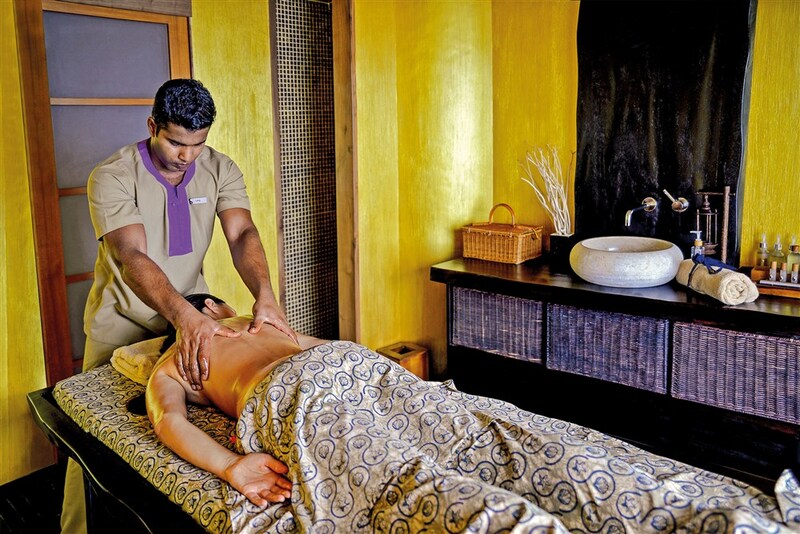 Those who have selected the Scuba option may also book spa treatments, depending on availability. 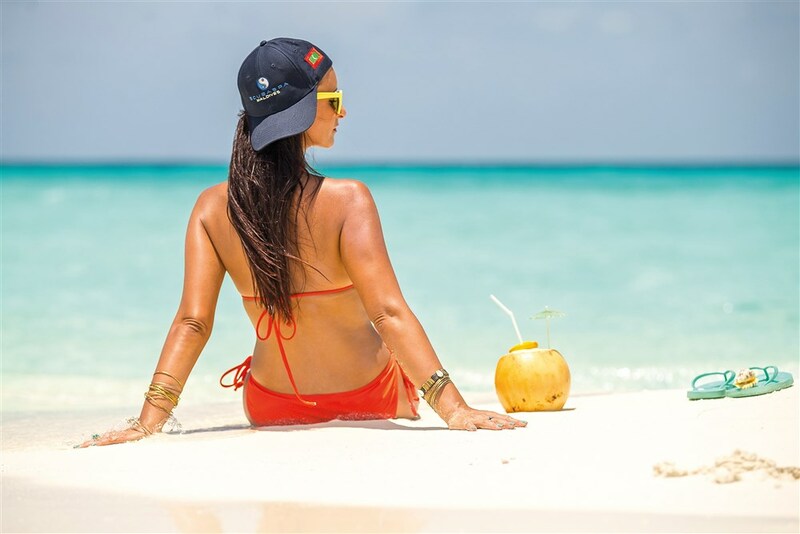 In addition, honeymooners have the option of combining a special package with any of these that will turn their honeymoon into an even more unforgettable and romantic one. 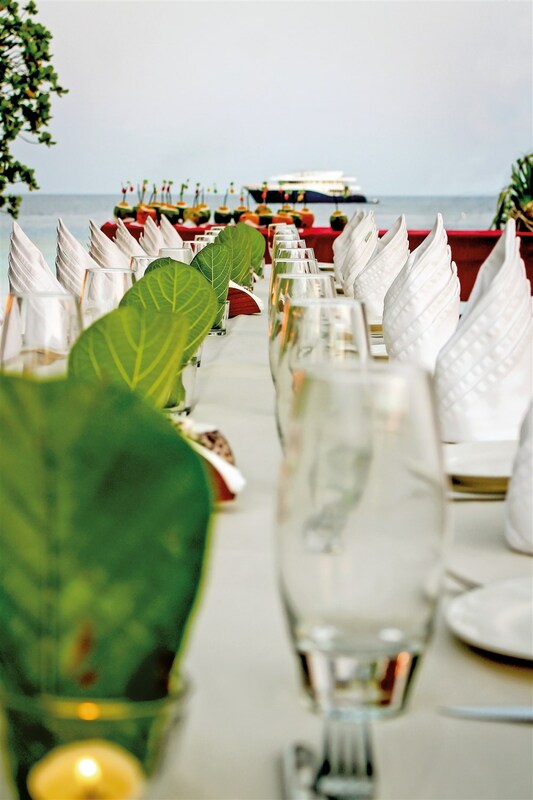 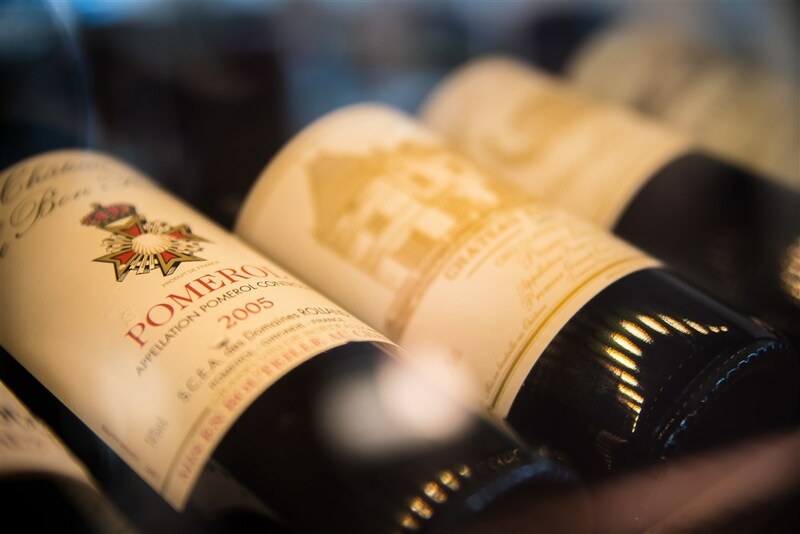 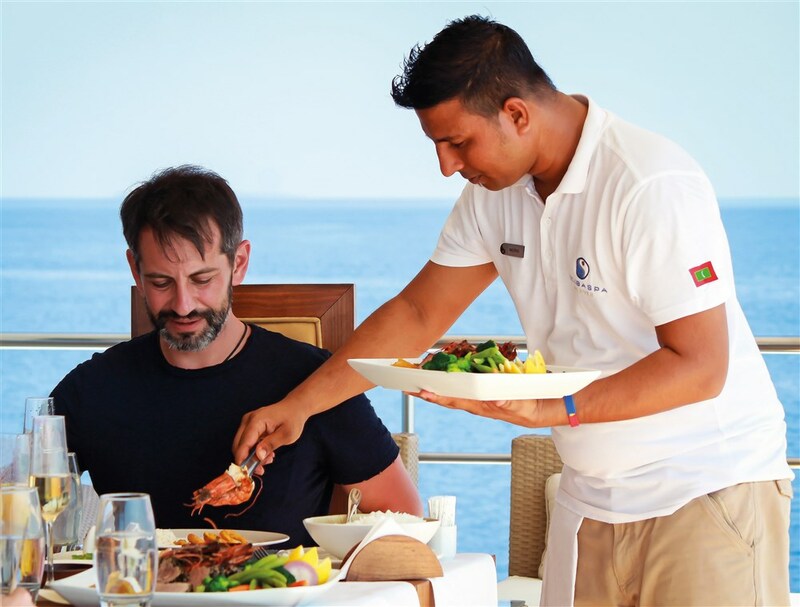 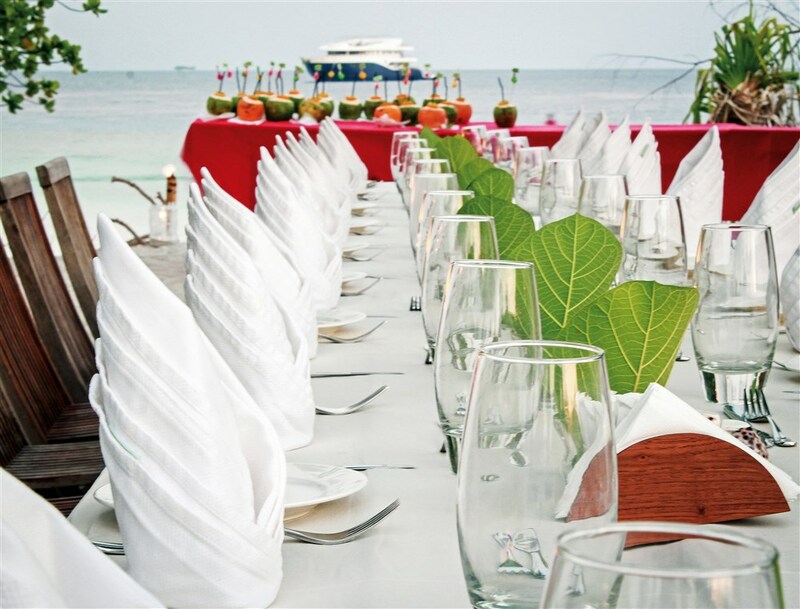 The boat is also available for private chartering, in which case the whole trip can be tailored to the groups’ individual preferences to ensure everybody enjoys the trip of a lifetime onboard this floating resort. 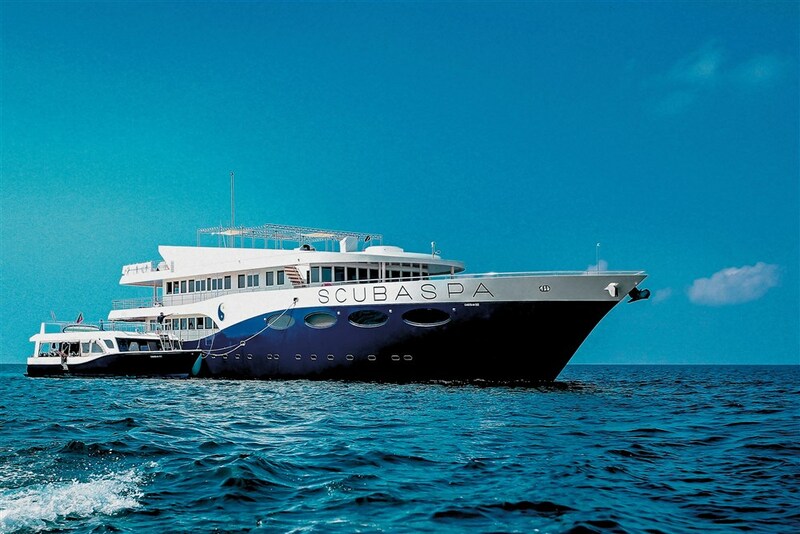 The Scubaspa Yang schedules diving cruises all year round and this and sister boat Scubaspa Yang are the only vessels in the Maldives awarded “PADI 5 Star Dive Resort”, offering the whole range of PADI courses. 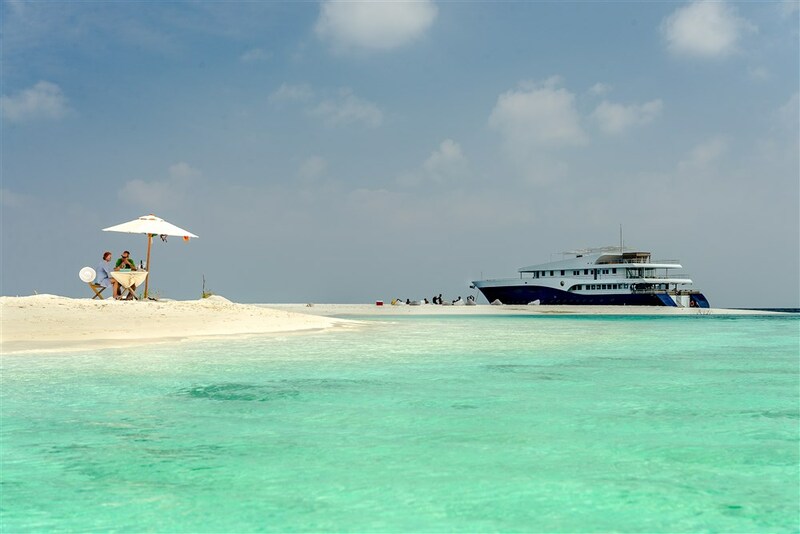 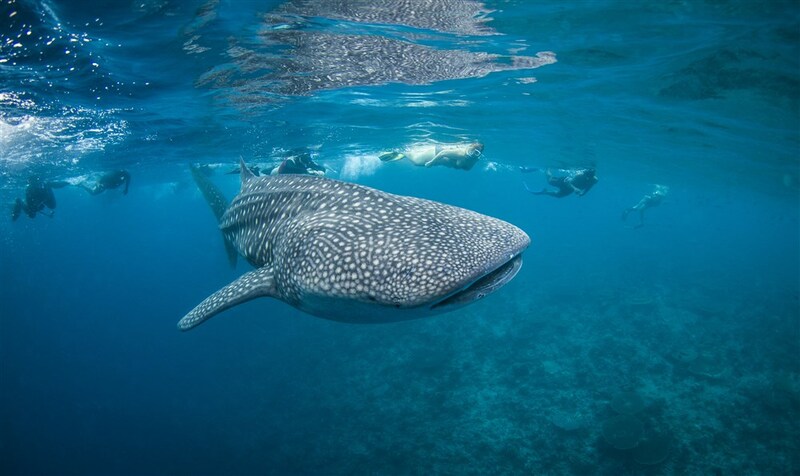 The boat visits several atolls during a cruise to ensure you get to see only the very best Maldivian dive sites, guided by five experienced, multilingual instructors/divemasters. 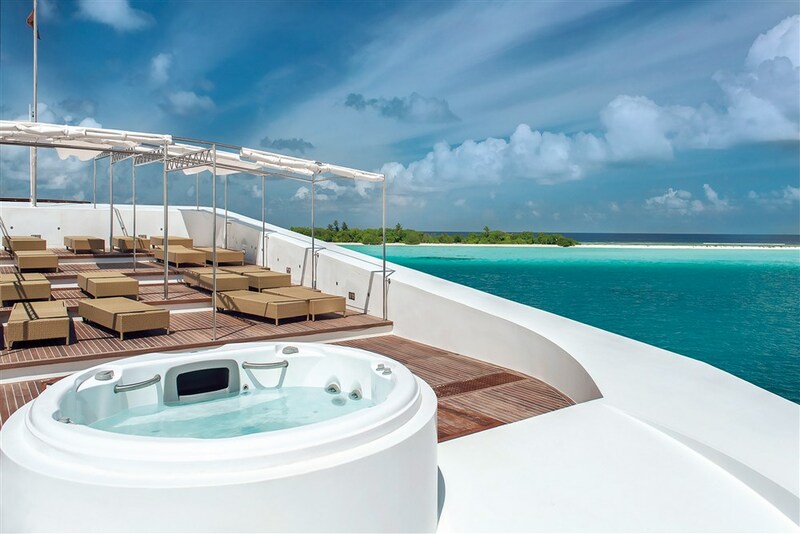 Book your flight into Male, Maldive’s capital. 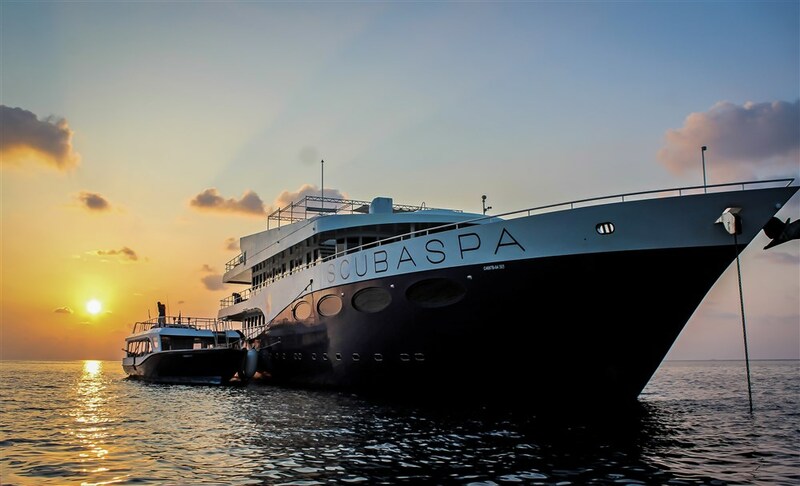 A member of the Scubaspa Yang staff will be meeting you at 10h00 and transfer you from the airport to the boat, so if you are arriving on this day you should ensure your flight lands in Male well before this time. 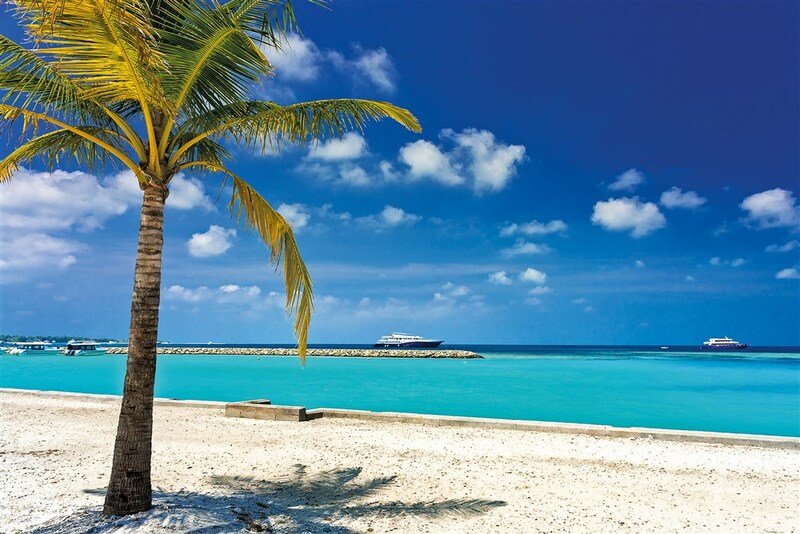 On the disembarking day, the last transfer to the international airport takes place at 08h45.